Hitch and Mounts are a necessity for larger projects that require moving large amount of objects from one place to the other. Weather you are looking to attach it to a truck, tractor or AV, we have a variety in which we are confident that you will find what you are looking for. 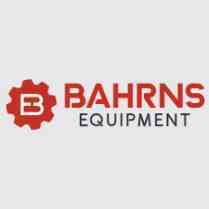 If you need any assistance in figuring out the proper sizing, brand or anything at all feel free to email us at lawneq@bahrns.com or call us at 217-342-2909.